Imagine if your food could talk back to you? 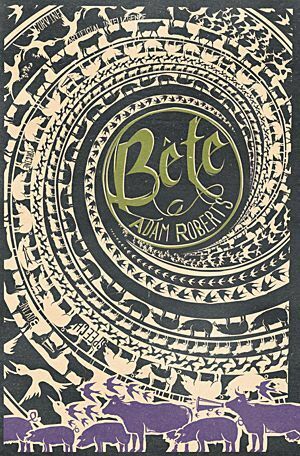 That's the extremely high-concept opener much-decorated sci-fi author and academic Adam Roberts plays with in his latest novel, opening on a bizarre but starkly amusing sequence in which a cow tries to reason with the farmer who's about to fire a bolt into its head. By page three he's already quoting The Smiths' 'Meat is Murder' to him, and the farmer's almost spurred to fire just for that. The conceit in this instance is that many of the world's animals have been 'chipped' in order to allow them to speak as normal humans do. Roberts' prose is intricate and rich in scientific language and explanation, but it's also dryly funny and on-the-nose when it wants to be, making this book about so much more than a quirky sci-fi concept. Like the best speculative work it unpeels greater themes, from the morality of AI to humanity's relationship with its food sources, and also what the very act of possessing language and expression does to our minds.